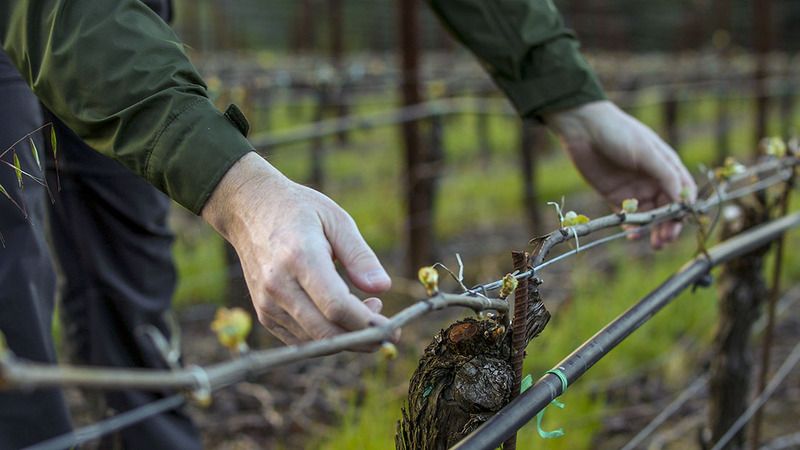 Our special 3.5-acre parcel of vines at Hyde Vineyard is now in its prime production/quality window at twenty two years of age. It’s among the very earliest ripening blocks at the vineyard, which typically means the vines are particularly well-balanced, in harmonious equilibrium with their environment. Parcels such as this always seem to produce the finest most evocative wines. It’s a more fruit-driven wine than the epically-mineral 2013 bottling, but you’ll find it’s still drenched in river pebble intensity and saline/quinine freshness. The crop was healthy this year so we made a very strict cellar selection, after twelve month’s barrel aging, ultimately bottling only the most expressive barrels, sixty-three percent of the total production. I expect this will age longer than anyone has the patience for, between ten and twelve years. When a young wine tastes so good as this…why wait? Serve close to room temperature. Brilliant pale straw color with a green tinge. Explosive aromatics: lemon zest, white nectarine, geranium, spearmint, thyme and oyster shell. Great clarity and direct focus. Deep precise flavors. Mineral, stream bed and crisp apple. Dry, tangy and pulsating. Really opens up as it grows in the glass. Oatmeal and almond paste, body and richness. Weighty, broad deep savory finish, rising grapefruit character. Incredibly dynamic wine – mineral, tense and deep with building fruit richness. A livewire with long cellaring potential.